Season Four of The Caffeine and Octane TV Show is set to return to prime time on NBC Sports Network in August 2019! Season 3 Premiered....Tuesday, August 7, 2018 CLICK HERE for a video teaser of Season 3- Episode One In episode one, we return to C&O at the Beach - Jekyll Island. The beach is a beautiful backdrop for everything from a Model T Camper to a Twin Turbo Tucker. Season 3, Episode 2 aired August 14, 2018 CLICK HERE for video teaser of Season 3- Episode Two C&O is once again at C&O at the Beach - Jekyll Island for Episode Two. 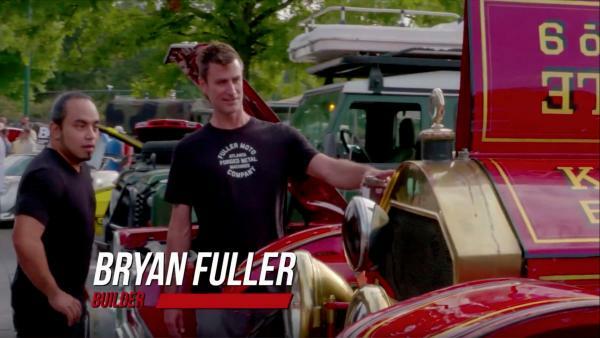 Season 3, Episode 4 aired August 28, 2018 CLICK HERE for a video teaser of Season 3- Episode Four Skip Smith, Rickey Gadsen and Bryan Fuller pick out their favorite cars at Caffeine & Octane. And we highlight some amazing highschool car enthusiats. Season 3, Episode 6 aired September 11, 2018 CLICK HERE for a video teaser of Season 3- Episode Six Magnus Walker, the urban outlaw and world-famous Porsche collector visits Caffeine & Octane. Season 2 - Episode 1 ........ "Jekyll & Hide"
Season 2 - Episode 2 ........ "Andruw Jones' Super Jeep"
Season 2 - Episode 3 ........"Exotic Car Hunter"
Vintage Testarossas and Quatra Valve Ferraris don’t just show up on a dealer’s floor, they’re hunted! Adam Merlin has spent a lifetime searching for the cars that defined his youth, but nothing is assumed or given in this high stakes game of Risk. Classic Car Expert Skip Smith, Master Builder Bryan Fuller, and 11 – Time World Champion Drag Racer Rickey Gadson feature the new Acura NSX, a Rolls-Royce Ghost, and a couple of dueling Aston Martin DB’s. 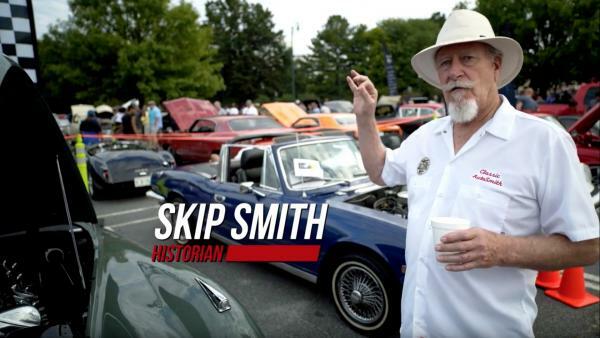 Season 2 - Episode 4 ........ "Big Yellow Taxi"
Season 2 - Episode 5 ........ "Peach State Challengers"
Season 2 - Episode 6 ........ "Lambo Racer"
One of the premiere car collectors in the greater Atlanta area, Skip has been an good friend of Caffeine & Octane for a long time. You've probably seen several incredible machines at the show from Classic AutoSmith. This classic car service, consignment sales, restoration, and vehicle storage business is owned by Skip's son Brandon. AKA "That Dude In Blue" on YouTube, David loves cars, video games, and Caffeine & Octane! He's built a massive following on YouTube and other social channels with his fresh, honest, youthful perspective on all things automotive. Whoever said Millennials don't love cars never met David. Bryan is a master builder, designer, and TV personality. While working for Chip Foose, he helped the team win the Riddler Award for Best Car in Show at the Detroit Autorama in 2003 and 2005. He now owns Fuller Moto, a custom car and motorcycle design shop that creates rolling works of art that entertain and inspire enthusiasts. 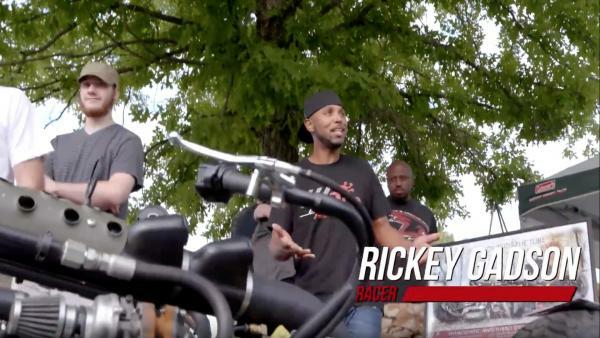 Ricky is the most recognized face in motorcycle drag racing today, and has a smooth, charismatic screen presence. He is credited with single handedly bringing motorcycle drag racing into the mainstream. His enthusiasm is so much fun to watch, it's the next best thing to visiting Caffeine & Octane in person!